Young Living Essential Oils and "Disease Claims"
You may have heard about the recent letter sent by the FDA to Young Living regarding claims made by a few Young Living members. The claims of particular concern to the FDA were claims that implied that Young Living products may be effective in diagnosing, curing, or preventing the Ebola virus. With the spread of the Ebola virus in Africa and the recent case in Dallas, Texas, this topic is garnering a great deal of attention. 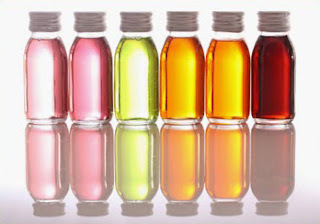 Young Living and the FDA are now requiring that all sources of information regarding Young Living oils do not make health-related claims that can't be backed up by FDA-approved scientific studies. Unfortunately, even though the scientific literature is full of studies showing the therapeutic benefits of essential oils, many of these studies aren't FDA-approved. Young Living is working on an list of FDA-approved studies, but this list has not yet been released. In the meantime, the Optimal Health Network will be working on never claiming or suggesting that Young Living products can cure, alleviate, treat, prevent, or diagnose a disease, symptom, or injury. These types of claims are called "disease claims." Conditions generally considered to be diseases include: colds, flu, cancer, diabetes, arthritis, osteoporosis, heart attacks, HIV, high blood pressure, high cholesterol, allergies, tooth decay, impotence, seizures, asthma, attention deficit disorder, ulcers, burns, mild abrasions, bruises, scars, head lice, obesity, anxiety, and depression. Many, many others belong on this list, but there isn't enough space for all of them here! Choosing which oils are best for you and your family can be a difficult endeavor due to all the choices available. I recommend that you spend some time researching for yourself. A great place to begin your research is the archives of the U.S. National Library of Medicine and the National Institutes of Health at PubMed. If you need further support choosing which Young Living oils are right for you, please set up a consultation. We will use our collective experience of over 30 years of study and clinical practice to assist you to choose the Young Living essential oil protocol that provides ideal support for your body.